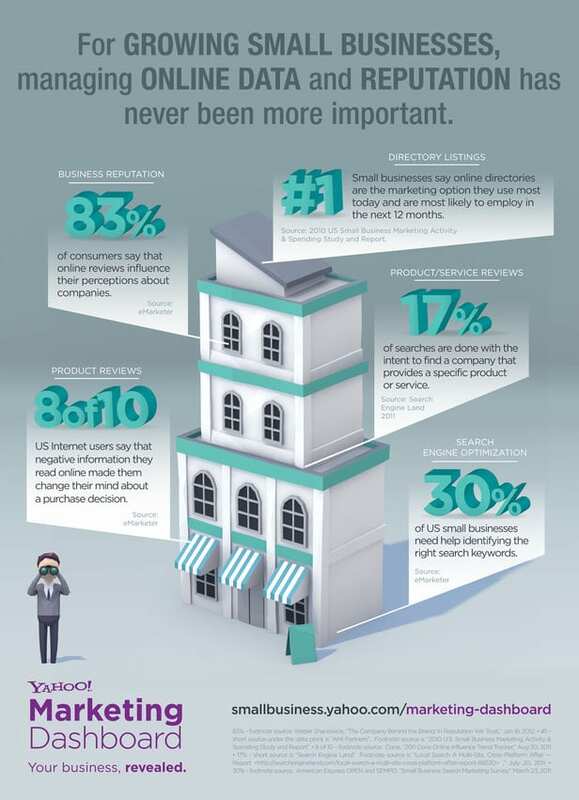 Ninety-seven percent of consumers go online to search for local business information (BIA/Kelsey). What they learn determines whether or not they’ll become customers. It’s essential for businesses to have way to monitor their online reputation and a plan to keep it in good shape if they want to survive in today’s social driven business environment. Businesses have always had to manage their reputation. What’s changed is the medium, the speed that information is created and the number of people that have instant access to that information. A business’s reputation used to be what a business said about itself – especially in their advertising messages coupled with the limited reach of word-of-mouth. Now, customers literally define businesses by providing real time feedback on review sites, social media, online forums and other digital channels. Managing a beneficial online reputation can be a very time-consuming project. You can use people, software or services to reduce the time it takes, but however you do it, maintaining a positive online presence is one of the most worthwhile investments you can make. Of course, one of the most mital aspects of managing any online reputation is acquiring, monitoring, responding to and amplifying online reviews. Reputation management solutions allow businesses to take control of their online reputation by allowing them to correct their listings and location data, monitor and manage online reviews, and observe how competitors are doing in local search (among other capabilities). picture of what people are saying about a business. local search, then build strategies to outrank them. directories and citations. Listings are crucial to making sure people can find businesses on search engines. A company’s reputation should be managed like a priceless asset and protected as if it’s a matter of life and death, because from a business and career perspective, that’s exactly what it is (Deloitte). Whether it be people we know or businesses with negative reviews and ratings by angry customers, your reputation on the Internet today is very discoverable. Therefore, online reputation management is crucial to the success of every person and every business.